I pride myself on my somewhat extensive homemade pantry. Not just because making foods and other products at home is usually a healthier option (which it certainly is), but also because it saves us some money in the process. Unfortunately, not all items are cheaper or easier to make at home. So, after the initial list of 35 recipes below that you should try making at home versus buying, there are a few of my own picks for foods that I'd rather purchase (or skip) than mix together myself. When I made my first batch of peanut butter at home, it rocked my world. All it takes is 2 cups of dry-roasted peanuts, a pinch of salt, a little oil, and some sweetener if you like. Combine and pulse in your food processor, and you've got tasty peanut butter. Whether for use on pasta or pizzas, making tomato sauce is smart when tomatoes are bountifully in season. I like this 10-Minute Heirloom Sauce recipe, but there are so many others to try. I've learned over the years that you can make pesto with most any green. I've used basil, kale, garlic scales, spinach, swiss chard, and others. My handy recipe doesn't even require cooking. Put two heaping handfuls of washed greens in your food processor and blend with 2 large cloves of garlic, ¼ cup Parmesan cheese, ¼ cup olive oil, a couple tablespoons lemon juice or water, and salt and pepper. 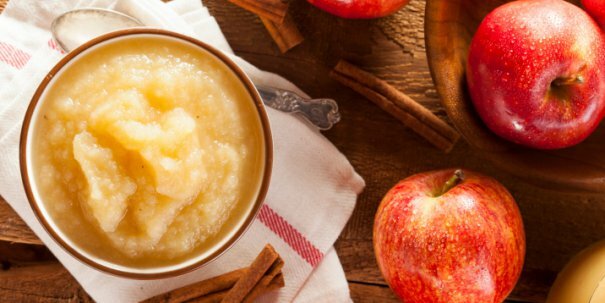 You can buy apples in bulk or on sale (sometimes the bruised ones can be picked up at quite a bargain — they're ugly, but perfect for sauces) and then make applesauce on yourstovetop or in your slow cooker. From there, I like to eat applesauce on its own or use it in my baking. The first couple times I made bagels, I thought the work involved didn't make the savings worth it. But then I got the hang of it, and now I prefer my homemade bagels over store-bought and even bakery varieties. I follow this particular method, and my favorite topping is Kosher salt followed closely by poppy seeds. At our local store, a sourdough round comes in at around $5. Many of the other bakery breads are much the same price. We used to buy one every weekend to make sandwiches until we made our own starter and starting baking these breads at home. Though I wouldn't recommend making your own cereal, granola is quite another story.Mark Bittman's recipe is to the point, but it's got all the right stuff to make a delicious homemade granola. And as with most recipes, there are suggested substitutions to customize to your specific tastes and preferences — as well as your budget. If you've been underwhelmed with making your own pizza at home, please try again. It's easier than you think to save your pennies and make even restaurant-quality pizza right in your own oven. And be sure to use your homemade tomato sauce and/or pesto to finish things off. You'll find things can get rather elaborate with homemade BBQ sauce recipes. So, if you're in a rush, you can also try this hacked version made with ketchup. 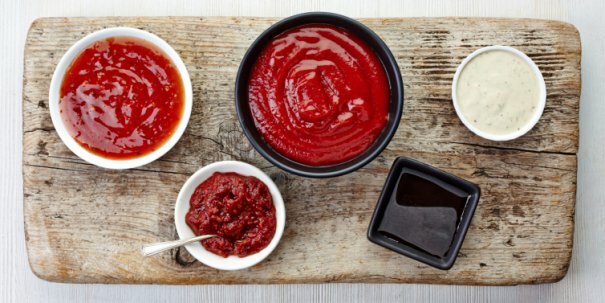 Whatever you do, if you're a sauce lover like me, please try making it at home — it's absolutely incredible! If you haven't heard of kombucha yet, consider yourself informed. It's a delicious, fermented beverage that comes in a variety of flavors. The best part? It promises big doses of probiotics along with many other health claims. Too bad it's expensive. I will certainly be trying this homemade kombucha recipe, though I read it will take some patience, much like with any home brewing process. This one is so easy, I make it all the time for use in baking cookies and breads. Simply take rolled oats and pulse them in your food processor until they are smooth (or chunky, if you'd rather have them that way). If you're using oat flour in gluten-free baking, just be sure to buy gluten-free rolled oats. It's the same story with almonds (and other nuts, for that matter). I just get a couple cups of raw almonds and place them in my food processor. Then I pulse until they form a flour/meal consistency. It only takes a couple minutes. A note: It's important with nuts topulse and not let heat build. You don't want to end up with a poor quality nut butter or just a big sticky mess. I've been wanting to make my own cheese for years, and this detailed tutorial for mozzarella with lots of photos has me more interested than ever. I've also seen quite a few cheese-making classes pop up on calendars at various culinary establishments, and I don't even live in a terribly big area. Ask around for similar events in your area and try to get your milk on sale for extra savings. I'm always puzzled when I see packaged kale chips at the store because they are sosimple to make at home using fresh ingredients. If you've tried making them with mediocre results in the past, check out these five simple tips for better success. All that's inside that box of pancake mix is flour, baking powder, some salt and sweetener, and — well — probably some other stuff you can't quite pronounce. 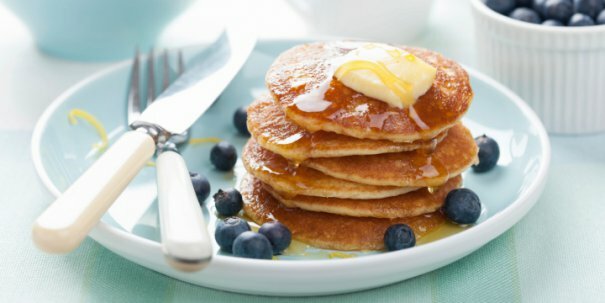 Simplify your Sunday morning routine by making your own pancake mix and storing in an airtight container for those special breakfasts. Greek yogurt is a staple at my house — but the price tag can be quite shocking. I've been meaning to try this slow cooker method for a while, as several of my friends swear by it. I've heard the key is with the straining, so for thicker yogurt (my favorite) be sure to strain the longest. As an athlete, I eat my fair share of energy bars for fuel, but also for convenient snacking. Here are 20 recipes to get you started. Once you get down the basics, you can customize them with your favorite dried fruits (dates, raisins, craisins, etc. ), nut butters (peanut, almond, etc. ), and other ingredients. Making protein powder at home is something I never even considered. Then I stumbled across this simple recipe with several different flavor options. While this recipe won't necessarily pack as much protein as store-bought varieties, the price and few ingredients make it worth a try. Packaged hummus contains lots of sodium and other added ingredients. All you need for a homemade batch is canned chickpeas, a couple tablespoons of tahini, and lemon juice. From there, season to your own tastes — my favorite spice is smoked paprika. I don't know about you, but I've never liked the taste of packaged guacamole. Plus, avocados can be pricey enough without the added convenience charge for blending and packaging. 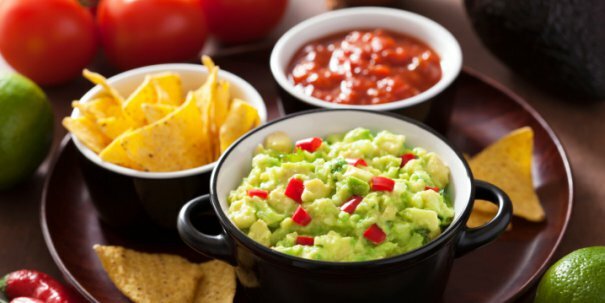 This simple guacamole recipe features few ingredients, and if you're looking to cut a few corners, leave the peppers and tomatoes out. I consider croutons to be one of those "extras" that I would never consider buying. Making them at home? I use this basic recipe, but substitute whatever bread I have in the house for the day-old French bread. We eat salsa a few times a week, so I'm glad to have found this easy salsa recipe using ingredients we usually have around the house already. The recipe calls for serrano or jalapeño chilis, but I usually dice whatever I have, even if they're boring green peppers. If you stock almonds, turning them into a nutritious, homemade milk is easy. Depending on sales at your local grocery store, making milk at home might not seem cost effective, so be sure to buy nuts in bulk to make it worth your effort! One of the best ways to save on groceries is to eliminate waste. So, at the end of a week, I like to check and see what veggies I have lingering on the shelves of my refrigerator and using them in stock recipes. I don't follow the specific ingredients, but I try to use like-foods in like-amounts.